"We specialize in patios covers, arbors & pergolas in Allen, Texas"
"Hello and welcome to DFW Fence and Outdoor Patios and Pergolas in DFW. I've been specializing in custom outdoor patios and arbor construction for over 10 years in DFW. Q: Are you a trust-worthy arbor and pergola builder? A: You can trust our crews at DFW Fence Doctor to do the job right. We are a local Dallas company and I perform all work myself with a small, trusted crew. Your satisfaction is guaranteed and I am sure that sure you will be pleased with our work. References in DFW available upon request. 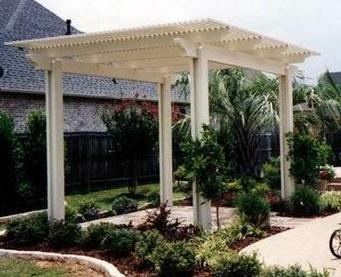 Q: How much does pergola/arbor construction cost in Allen, TX? Every project is custom and one-of-a-kind. We build to your exact specifications and needs!